AS one of the quintessential pub drinks, it’s probably no surprise that beer remains a huge category for the Scottish on-trade. Draught beer has long been one of the on-trade’s unique selling points, and the format remains in rude health north of the border. According to Heineken UK, draught is still the leading beer format in Scotland, accounting for more than 90% of beer volumes sold through the country’s bars and pubs. 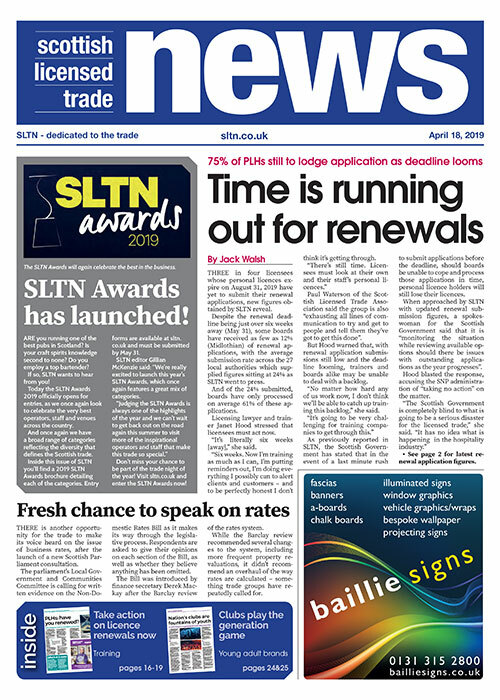 This was supported by the CGA figures supplied for SLTN’s Top Brands feature, which listed several major draught beers – Tennent’s Lager, Guinness, Carling, Belhaven Best and Peroni Nastro Azzurro – within the top ten biggest selling drinks brands overall. Clearly, the biggest names in the beer category remain of huge importance to the Scottish trade, accounting for the majority of beer sold in the country’s bars and pubs. 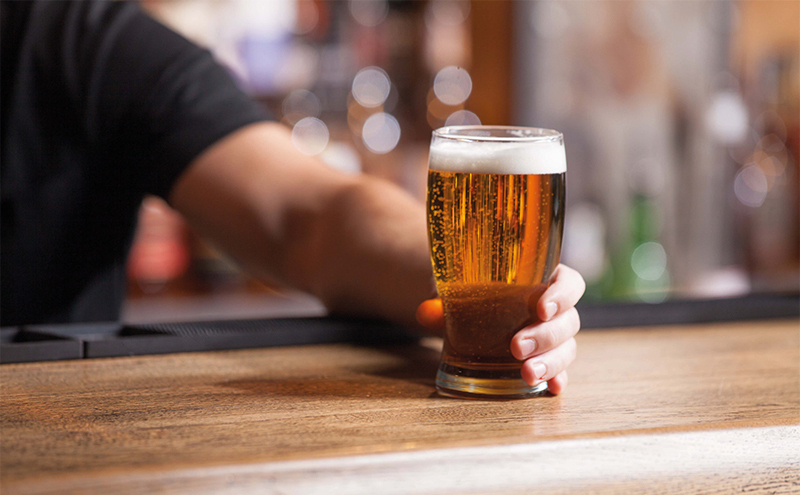 However, as Andrew Lawrence of Carling owner Molson Coors told SLTN earlier in the year, “consumer drinking habits, tastes and trends are always evolving”, and the popularity of craft beers continues to grow. While the craft sector can seem daunting to newcomers, Crawford Sinclair of Scottish craft brewer Innis & Gunn advised licensees to prioritise IPAs, pale ales and lagers when assembling a craft beer range, as these styles make up over 70% of sales in the sector. And sour and Saison-style beers, although accounting for considerably smaller volumes, are also said to be finding favour with dedicated craft beer fans.